Hitting the books and hands-on lab work can give you a big appetite. We have you covered when hunger strikes. 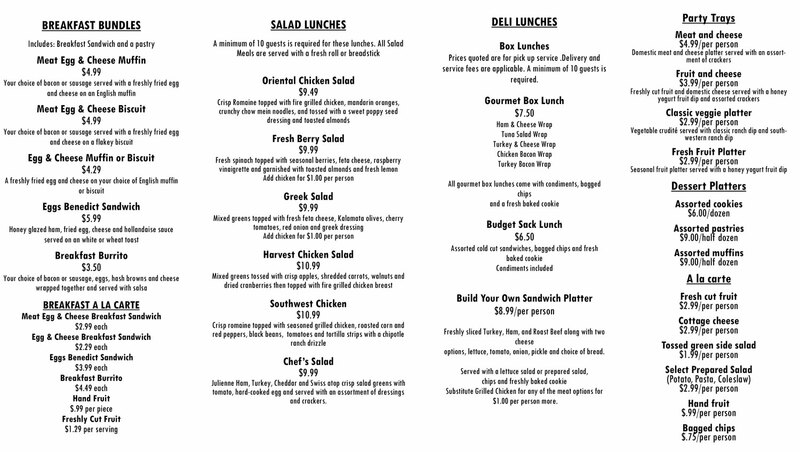 Grab a quick bite at the Eastview Grill and Commons. Daily breakfast and lunch combinations are available. Also available are a variety of sandwiches, snack items, fruit, vegetables and beverages. Use the convenience of your Cyclone Cash Card to make all your purchases. Monday - Thursday: 7:30 a.m.-4:00 p.m.
From gourmet pizzas to elegant sit-down fare, we cater to your needs. Let us know about your event on campus, and we'll work with your budget. Contact us if what you are looking for is not on the catering menu or if you have any questions regarding catering. Minimum two-week notice preferred.